As an admin for a Giving Circle, you have the ability to access your Giving Circle's dashboard to select causes to give towards. Below are the steps to show you how. Step 3: Select the name of the specific Giving Circle you would like to view to be directed to your Giving Circle dashboard. 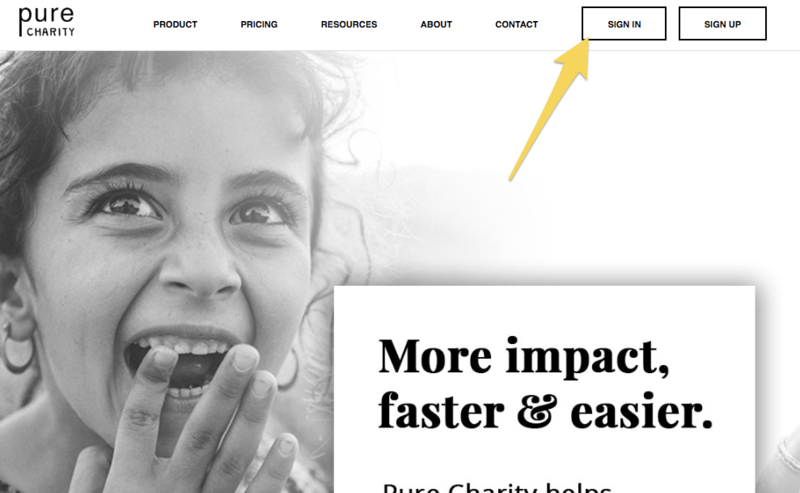 Step 4: From your Giving Circle dashboard, select 'Causes' in the left-hand menu. Step 5: Now you should see a list of current causes your Giving Circle can donate to. You can also add a new cause by clicking on 'Add a Cause' and searching for a current fundraiser or a current Field Partner. Step 6: To donate to the specific cause select . Now celebrate! A fundraiser or Field Partner has now received your giving circle funds! If you have additional questions, please feel free to reach out to your account management team at account.management@purecharity.com.